It features a unique design, a user-friendly interface and highly intuitive functionalities. 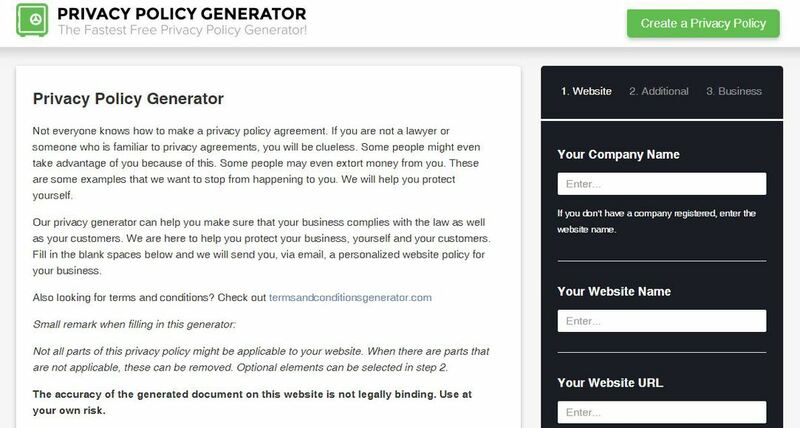 By using this tool to create privacy policies you get to customize various sections of the auto-generated texts and include your own specific rules, instructions and/or policies. Policies created with this free online tool are in compliance with GDPR and other international laws. Volusion privacy generator is a free online tool for creating professional privacy policies for your website, mobile app and/or Facebook applications. The platform is simple and easy to navigate and it provides a lot of useful options to make your policy pages stand out. With the Volusion Privacy tool, you can auto-create quality legal pages that are fully compliant with GDPR and other data protection policies. With iubenda free online tools, you can create privacy policies for different platforms; (ie; websites, mobile app, Facebook) with 100% GDPR compliance. The features are great for personal websites, blogs, business websites and cooperate platforms. Plus, it comes with a lot of options to customize your pages and make them unique and/or completely different from similar pages. 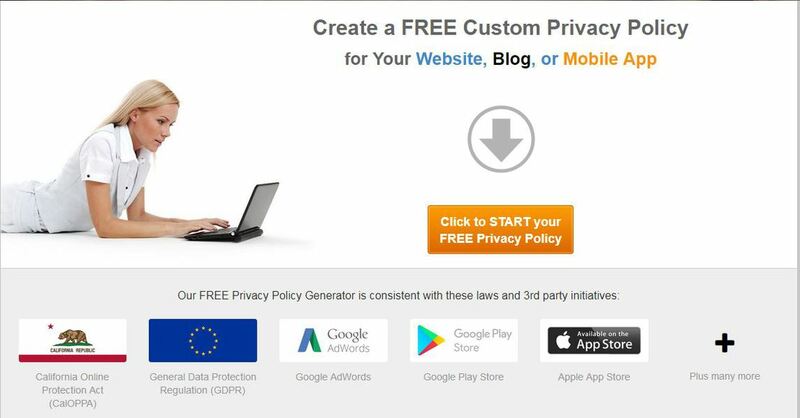 These are the best free online tools to create privacy pages that are 100% GDPR compliant. With these tools, anyone can generate professional privacy pages for their website, app, product, and services. While the free version of these tools is enough for majority of businesses, you can explore their premium version if you consider it best for your business class. Have a thing or two to say about creating 100% GDPR compliant privacy pages for free? Please do let us know about it in the comments section below. Nice list of tools for staying compliant legally. Thanks for sharing all these with us. thanks for sharing this useful legal information. It really helped me a lot in getting started with professional legal pages for my websites.